Teabox: Great October Deals! Coupons Available! centuries old. We value it and uphold this inheritance. It’s time for a new approach. It’s time to enjoy tea, in an entirely new way. Not to distributors. Not to resellers. But to tea drinkers. Our prediction engine scans through hundreds of data points to pick out teas that best fit your tastes. And every time you rate a tea, our engine gets smarter at choosing teas for you. 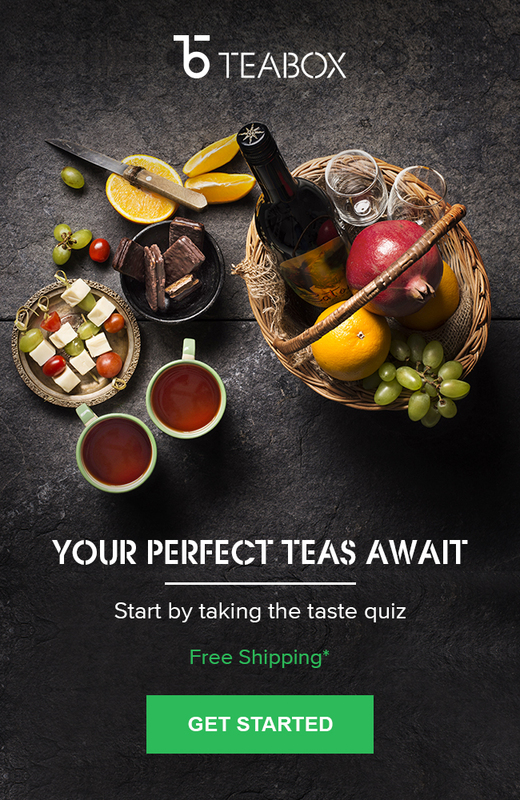 With three subscription plans from $9.99/month – $39.99/month, Teabox has the perfect plan for every tea lover. What do you think about Teabox? ← GlobeIn: October Benefit Basket Spoilers!